Caught at a stoplight in the thriving metropolis of Boring, Oregon. Well, we’ve got two stoplights! 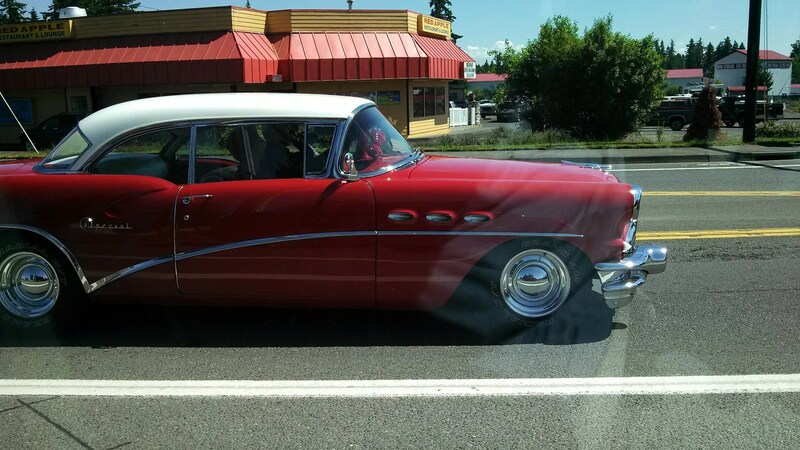 Gorgeous old ’55 Buick… bright red, and perfect for Flag Day. Mahalo to my papa-san, who gave me the gift of his love of old cars and taught me how to tell them apart.